Disclaimer: This is a Sponsored Post. I received this complimentary product in exchange for my honest opinion. As with all my posts, our opinions are 100% honest and our own. This post may contain affiliate links. The weather here in NYC has been pretty messed up. Freezing cold one day, warm on another. From the moment we received our Wubble Bubble Ball, I've been waiting for the perfect weather to bring it out. Yesterday was that Day! Not too cold, not too warm. For those of you who don't know what the Wubble Bubble Ball is, it's is a HUGE Bubble style ball that brings loads of fun and exercise. 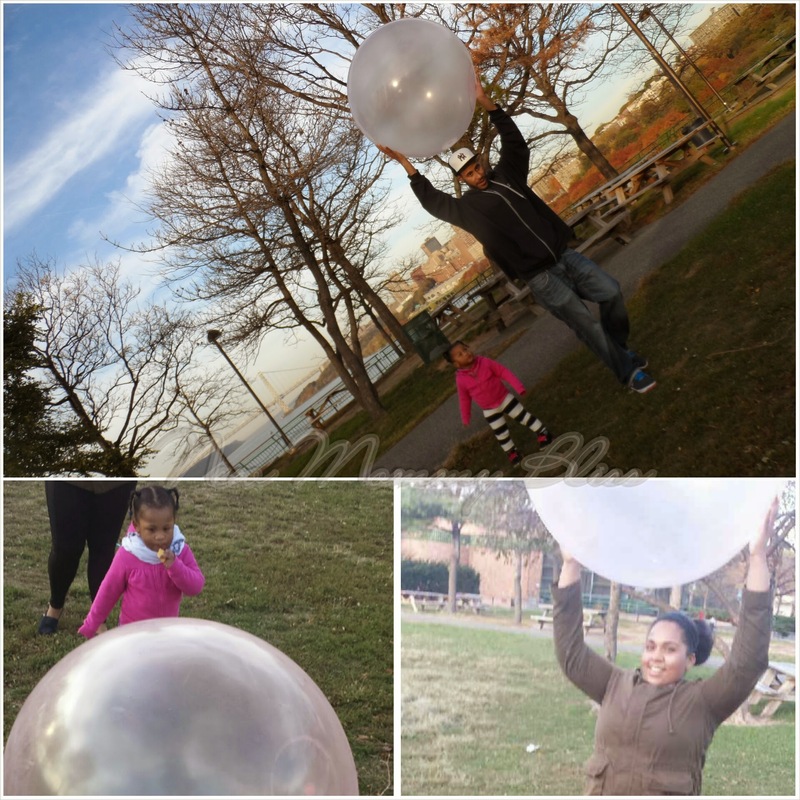 Inspired by his children's wish for a real bubble to play with, NSI President Frank Landi developed the Wubble™ Bubble Ball to keep children's love for fun, active play alive! From the moment I saw the commercial for the Wubble Bubble Ball on TV, I wanted to get my hands on it. I got the chance to see it in person at Blogger Bash 2014 (Part 1, Part 2) and couldn't wait to sign up for their blogger program. Wubble has won numerous toy awards, including an Oppenheim Toy Portfolio Best Toy Award, a National Parenting Center Seal of Approval, a Mr. Dad Approved Award, a Parent's Choice Award and the Dr. Toy Best 100 Picks Award and more! Although the age on the box says 6+, my Toddler had so much fun. It was a family fun type of day especially since older children were still in school. We had the park space to ourselves. All Gabby kept saying was "oooooh Bubble!" Inside the Wubble Box were instructions on how to inflate the bubble ball, the Wubble Bubble Ball, an electric Pump, inflation guide, return envelope in case the ball pops or gets damaged, nozzle adapter, and nozzle. The only things not included were 4 size D batteries. 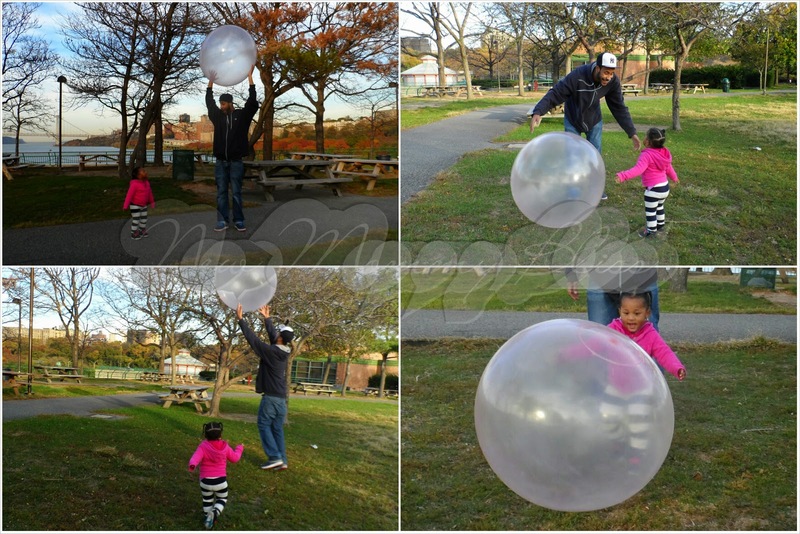 The Wubble Bubble Ball can withstand a whole LOT of Play! Gabby kept gripping the ball and I would cringe thinking that her nails would pop the ball. Surprisingly, it withstood my Toddler. 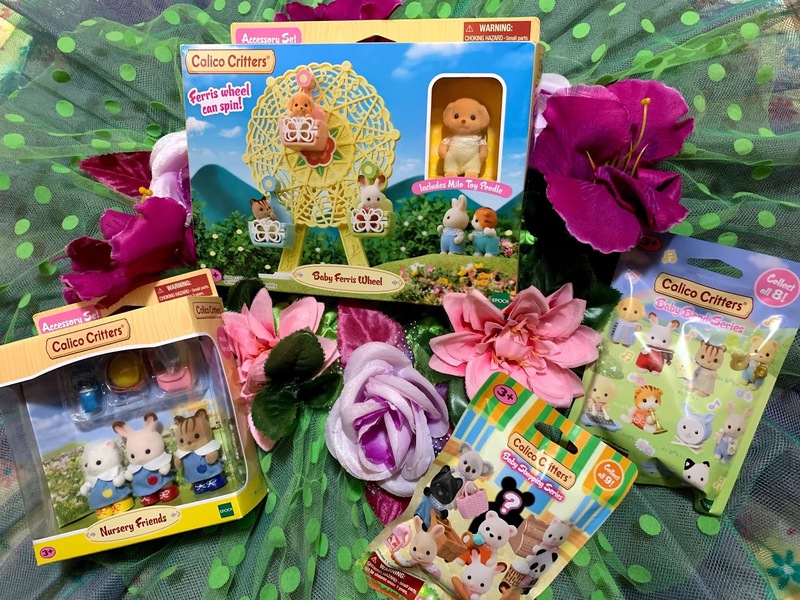 This is a Great Gift to give the kids in your family. 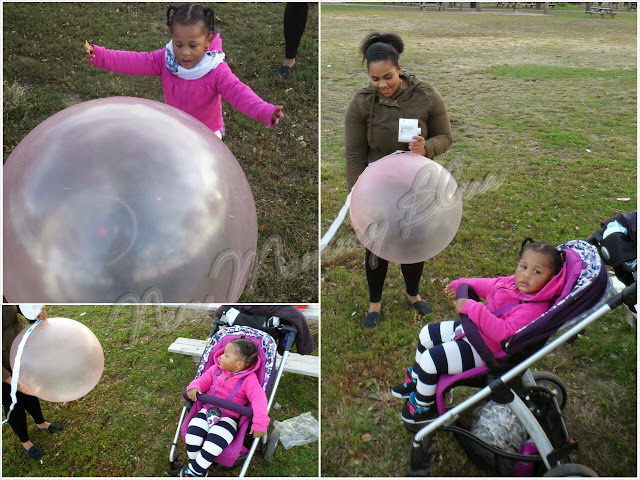 Even the Adults will enjoy the great fun that this huge Bubble provides. Just be careful where you play or where the Wubble Bubble Ball lands because although it can take a lot of Play, it is NOT indestructible! They have a lifetime replacement guarantee. It costs $6.99 to replace a Wubble under the guarantee. 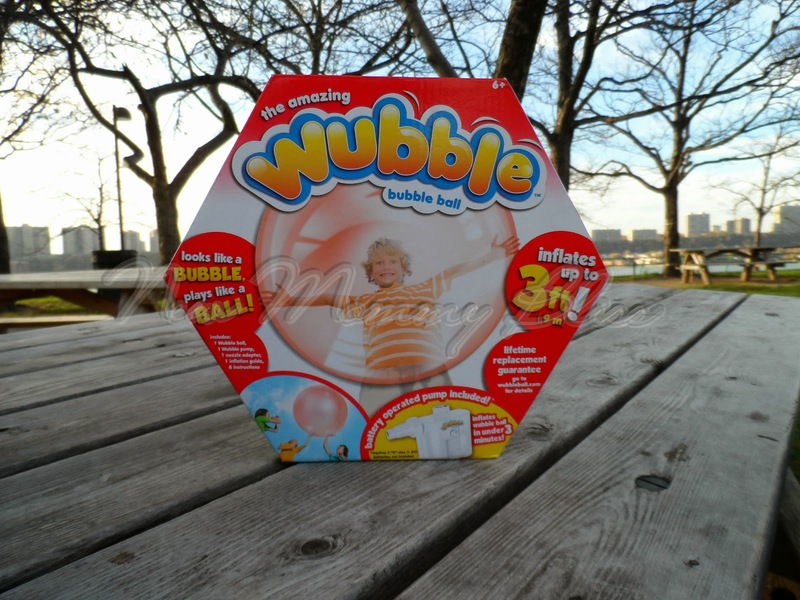 Wubble Ball is available at Target, Toys R Us, Amazon, and online at the Wubble Ball site. You can connect with Wubble Ball on Twitter and Facebook. That looks like so much fun. Our kids would LOVE it. This ball looks awesome! 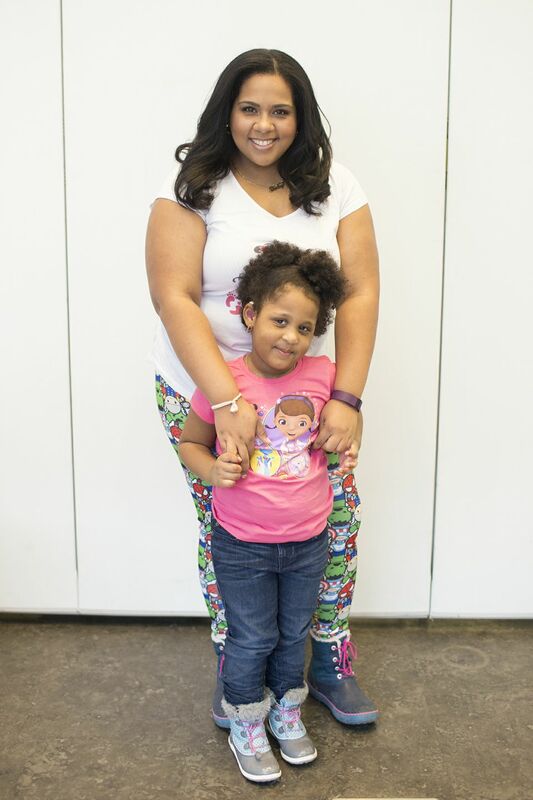 I love your family pictures: so much fun for your pretty girl! My kids would love this. What kid wouldn't?! I've heard great things about these and also I heard they're very durable!